Vakhtang Gogokhia’s plan to extract cryptocurrencies from the netherworld of cyberspace relies on a strategy familiar to many old-school manufacturers who use a lot of energy — the cheaper the fuel, the better. Renewable energy is becoming the preferred way of mining digital currencies like Bitcoin as prices surge and the industry seeks more computing power. While traditional fuels like coal remain staples for many utility grids, big miners including Bitmain Technologies Ltd., HIVE Blockchain Technologies Ltd. and Bitfury Group are tapping clean power in places like Canada, Iceland and Paraguay — and luring investors worried about the industry’s carbon footprint. It’s easy to see why energy sources are getting more attention. The increasingly difficult computations for creating new blockchains — the encrypted digital ledgers that underpin cryptocurrencies — require ever-more powerful computers. And many of the big server farms need air conditioning to keep from overheating. The industry’s electricity use jumped almost eight-fold in the past year, and spending on power can eat up 30 percent to 60 percent of revenues, Bloomberg New Energy Finance estimates. 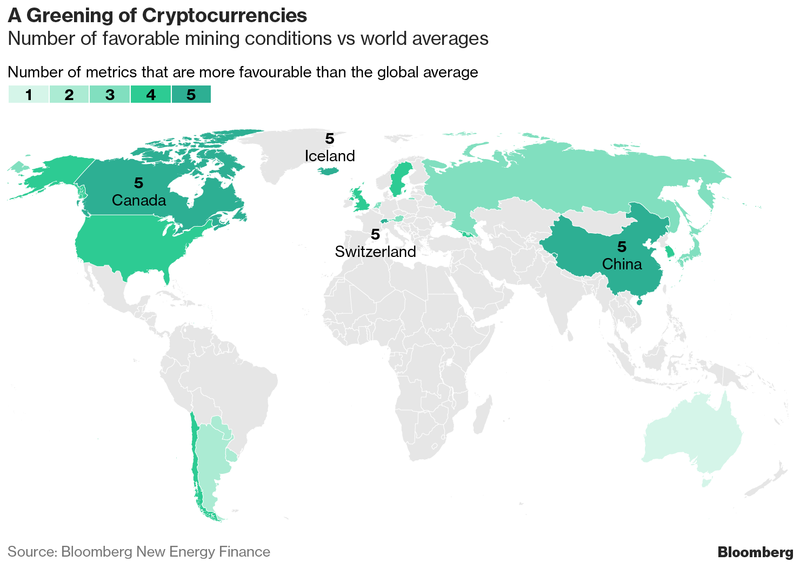 Over the past year, creating cryptocurrencies almost anywhere got more profitable as prices skyrocketed, sparking a rapid global expansion of mining activities along with hundreds of new kinds of tokens. Bitcoin alone was valued at more than $325 billion in December — exceeding the market capitalization of Wal-Mart Stores Inc., after jumping to almost $20,000 each from less than $800 a year earlier. In China, the world’s the biggest cryptocurrency producer, many server farms rely on cheap, surplus power from coal-fired plants that contribute to pollution. The government has forced industries to limit climate-warming emissions, and officials are contemplating new taxes to assert more control over domestic power markets and digital currency operations. About 70 percent of major Bitcoin-mining pools are based in China or owned by Chinese companies, according to Blockchain.info. “Mining with clean energy is possible and economically sound in those places,” said Guy Lane, director of the Long Future Foundation, an Australian-based non-profit. The foundation promotes ideas to protect the planet and has studied the impact of cryptocurrencies on the environment. The industry’s increasing enthusiasm for finding clean power comes at a time when renewable energy has become a staple in utility grids around the world as the technology improved and costs fell. In the U.S., renewables like wind and solar accounted for 17 percent of electricity supply last year, twice the market share of a decade earlier, reducing demand for coal, government data show. 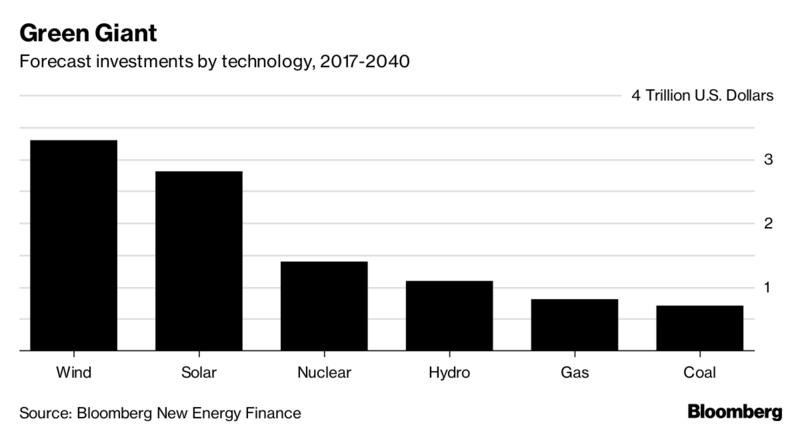 Renewables will capture $9 of every $10 spent on new power projects through 2040, according to BNEF’s New Energy Outlook report, with startups from Australia to Texas to Estonia trying to give rooftop solar and windmill owners the chance to sell directly to consumers. 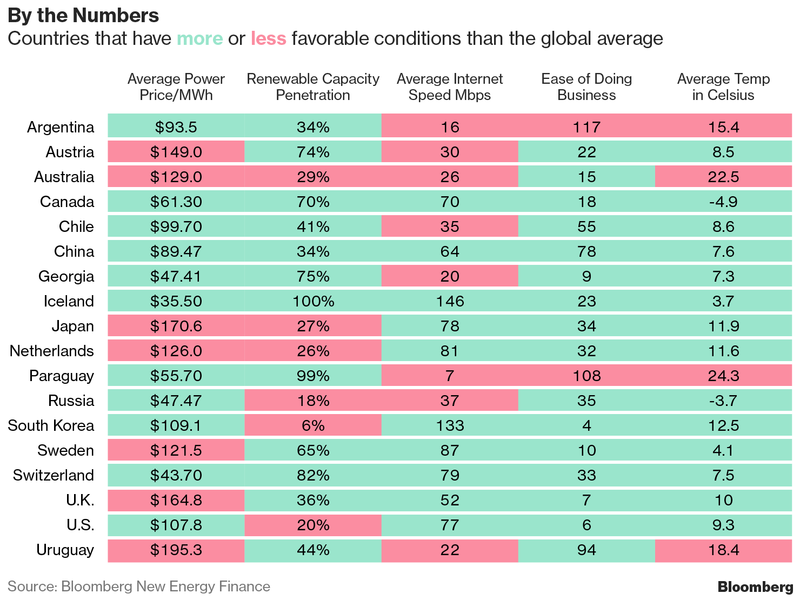 Bloomberg clients can access the full “New Energy Outlook” report on the Terminal or on web. In Paraguay’s Ciudad del Este, a municipality on the Parana River across the border of southern Brazil, cryptocurrency miners are setting up in the city’s free-trade zone. They are tapping cut-rate power generated from the nearby 14-gigawatt Itaipu hydropower plant, the world’s second-biggest dam, which produces more electricity than Paraguay can consume. Prices are about a quarter of what they are in neighboring Brazil. Back in Georgia, Golden Fleece is trying to raise $40 million — through an initial coin offering that promises investors a dividend paid in a digital currency. The cash would be used to build servers to mine Etherium, an increasingly popular token that recently fetched $1,125, up from $230 as recently as September. 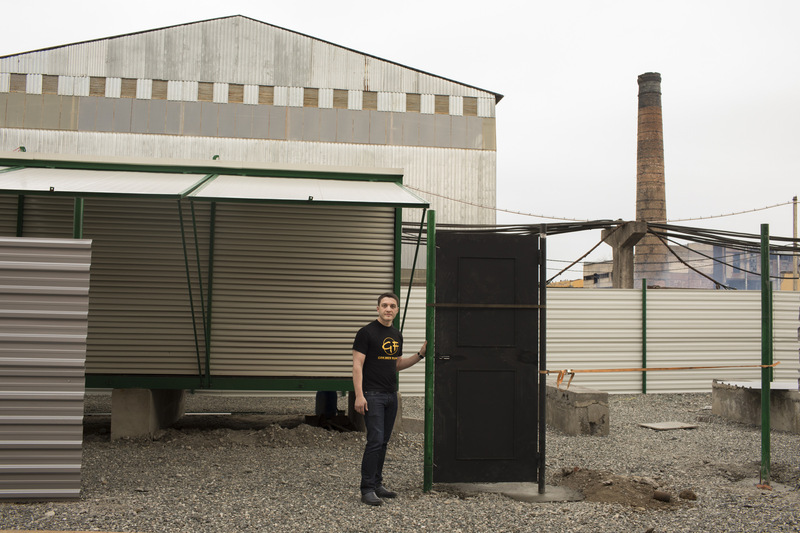 The country’s richest man, former Prime Minister Bidzina Ivanishvili, helped BitFury set up a mining center in a Tbilisi free-trade zone that cost more than $100 million.